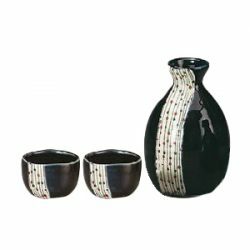 Known for its soft curvy lines that makes one want to embrace the piece in the palm of the hand, this sake vessel set is created by the technique known as Fukura Glass. 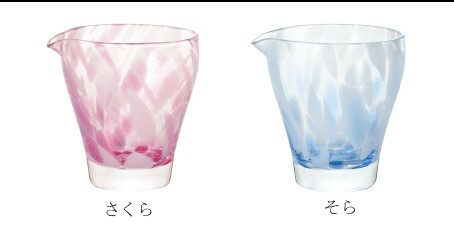 In addition to the Fukurami, or bulging, techniques, the thinness of the glass provides a smoothness to the mouth when Sake is poured into this vessel. 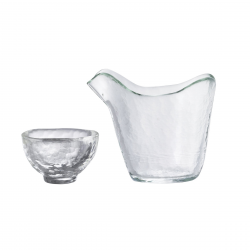 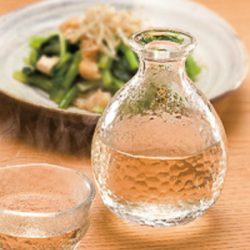 This allows the sensation, flavor of Sake to be enjoyed without any loss by this glass vessel. 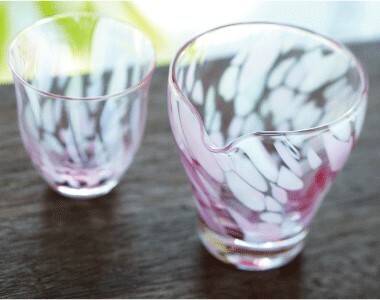 This is one of glassware created by Tsugaru vidro. 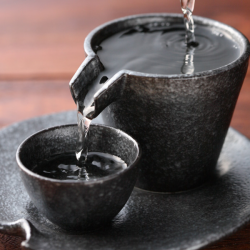 Tsugaru vidro’s craftsmen are well known for creating each piece by hand, having the highest level of quality. 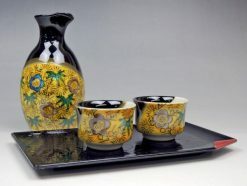 The extremely difficult technique of creating the specific sphere through the blending of the different types of designs is so exact that even a 0.1 gram difference can cause a piece to crack before completion. 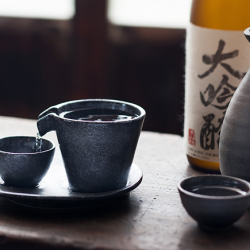 This traditional craft has been passed down through the ages, so it is said the heart of the craftsmen is embedded into the sake vessel set. 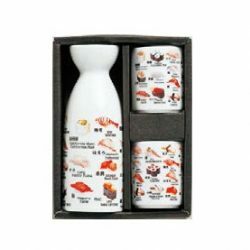 In addition, with different colors available, Sake lovers may select according to their preference, type of Sake, or the even the room they are considering placing this highly decorative sake vessel. 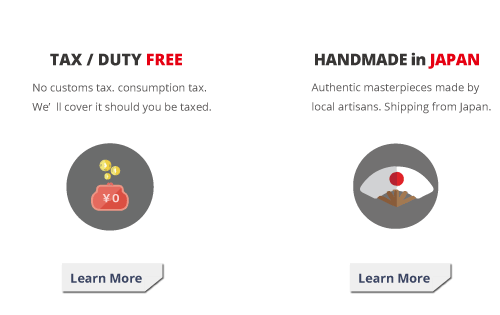 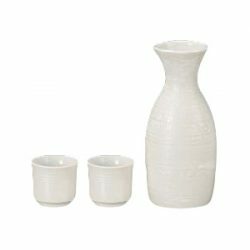 Not only a vessel to enjoy Sake, this sake vessel set draws attention by its presence alone. 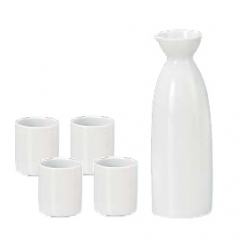 The tall design of the katakuchi not often seen is actually easy to hold when pouring Sake. 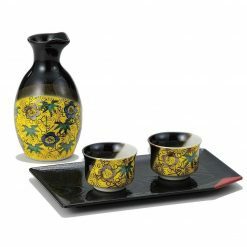 From beginners of Sake to those who have enjoyed Sake for years, this sake vessel set can be enjoyed by many Sake lovers. 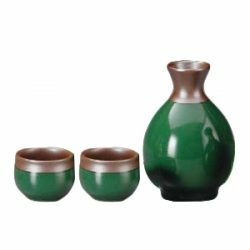 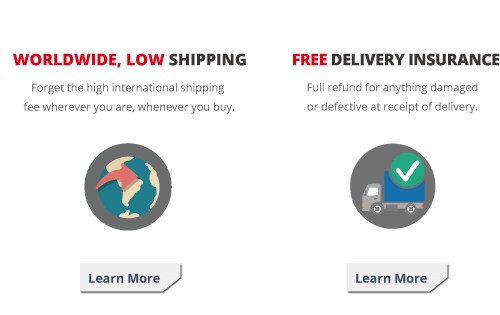 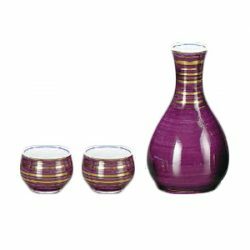 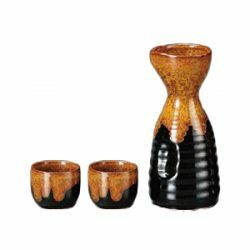 The appearance and ease of use make this sake vessel set a perfect gift as well. 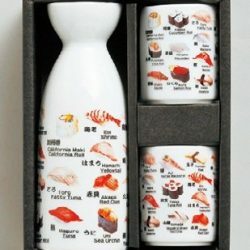 Paired with a favorite bottle of Sake, a gift to someone very special.